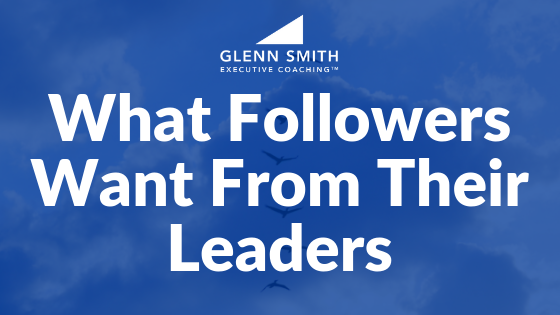 For many years now I’ve wrestled with the question, “What do followers really want from their leaders?” In that time, I’ve read several good resources, but my most valuable insights have come from conversations and my own personal experiences. I’m convinced that everything rises and falls on leadership. I think most people know this intuitively, and that’s why most people hunger for good leadership – whether it be in business, in non-profit organizations, in churches, in the community, in government, everywhere! 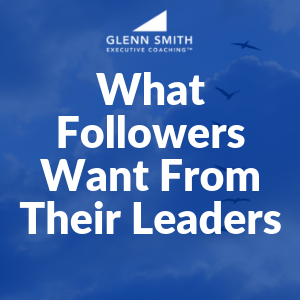 Here are 5 attributes that followers want from their leaders. My experience has told me that most leaders underestimate this critical component of leadership. They assume they have more trust than is a reality. Therefore they are not conscious and intentional about building trust. In the book The 5 Dysfunctions of a Team, author Patrick Lencioni identifies “Trust” as the #1 building block of a healthy team. Of course, the lack of trust is the #1 dysfunction. How do we protect and nurture trust? Well, it’s not really that hard. Be honest. Be respectful and kind but be direct. Don’t communicate in wishy-washy or nebulous language. Respectfully say what you mean and mean what you say. Be thoughtful of others. Be a “servant-leader.” Be consistent. When your followers can predict your behavior based on your values – that’s a good thing! Being consistent and predictable builds trust for the servant-leader. Most of all, solicit and listen to feedback. Your number one job as a leader is to build and nurture trust! We expect our leaders to have a sense of direction and a concern for the future of the organization. The best leaders have a clear picture in their minds of what the company or organization will look like in the near future. Most people do not want (or trust) 20-year plans. The world changes too fast nowadays for us to put too much emphasis on extremely long-range planning. But people do want to know what the next 12 to 36 months is going to look like. And they want something “big” to aspire to that may or may not be totally achievable but is certainly worth pursuing! It is the job of the leader to set or select a desirable destination toward which the organization should head. And it must be a destination that others want as well. It’s the leader’s role to describe that future to us in rich detail so that we will “feel” it, and we will know the best route for getting there. But how do you achieve this vision-alignment? Every good vision begins with a problem. Vision by definition is a picture of a preferred future. That means there is something about the “present” that is less desirable or “unpreferred.” Ask yourself, what would make life better or more meaningful for the people within our company or organization? What would make life better for the customers or people we serve? How can we impact our industry or our community in a meaningful way? What could that “preferred future” be? Once identified and shared by all, the leader must communicate it over and over again. In the book Leading Change, author John Kotter says that the average leader under-communicates vision by a factor of 10. My experience tells me this is true. Good leaders are always looking for new stories, new metaphors, new ways to communicate their vision. And they repeat it constantly. You cannot command commitment, you can only inspire it. Good leaders breathe life into what are the hopes and dreams of others. They enable their followers to see the exciting possibilities that the future holds. But for this to happen, you must first know and listen to your followers. What are the concerns and problems they see? Do they know that you know and care? Without this relationship, this emotional connection, you will have difficulty inspiring others. Once connected with the hearts and hopes of your followers, you can paint a future for them that is meaningful. But to inspire them, you must be passionate about it yourself. They must see and experience your passion and energy for what you do and where you’re leading them. Your passion and energy is contagious. If connected with the hearts and hopes of your followers, your passion and energy will inspire them. Once you achieve a shared vision, it is then your responsibility to empower and enable your followers to take initiative and to act. How you behave as a leader, what you recognize and reward, and how you handle your disappointments are key here. Followers must believe that their leader knows what he or she is doing. They must see the leader as capable and effective. Having a winning track record is the surest way to be considered competent. The type of competence that followers look for will vary from situation to situation. Competence does not necessarily refer to the leader’s technical abilities in the core technology of the business. But followers do expect their leader to be able to get things done for the organization. The leader does not have to always have the answer either. Sometimes in a crisis or unexpected situation, the followers just expect their leader to give them reassurance that they’ll figure it out and make it through successfully. This means the leader must be a learner. The leader must know and accept their personal strengths and weaknesses, and they must know how to leverage the strengths of others. If a leader is perceived as a reflective thinker and learner who figures things out and gets things done, followers will typically view them as competent and will even follow them into the unknown. It has been my privilege for more than 20 years to train and coach leaders. If you or someone you know is looking for executive or leadership coaching that will increase their leadership capacity and effectiveness, please contact me to schedule a leadership strategy session! How to Run a Growing Business is our course for business owners who are ready to take their business to the next level. Let us guide you in the Business Acceleration Process – to create a scalable, profitable, turn-key business that can run practically without you. I'm convinced that everything rises and falls on leadership. Here are 5 traits that every follower wants from their leader.